Employees are commonly graded on a bell curve, so the quality of their actual performance takes a back seat to other arbitrary organizational planning initiatives. New tools are routinely rolled out to improve the performance review process. But it always works out to be the same song, different verse. Annual performance reviews never change. They are always painful. For everyone. Let’s stop rolling out new tools that just end up doing the same thing. Instead, let’s adopt a different attitude toward the fundamental relationship between the leader and the employees. Instead of setting up a toxic, stressful dynamic on Day 1 to then be reviewed at Day 365, why not set up a partnership where it’s the leader’s role to be dedicated to supporting the employee’s success throughout the year? 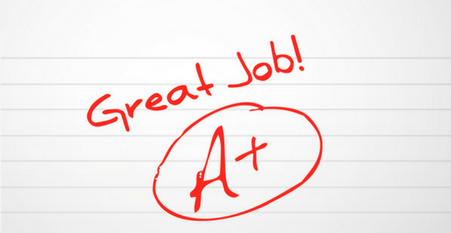 Instead of a year-end grading scenario, let’s make it the leader’s responsibility to help that employee get that A at the end of the period, based on their mutually agreed upon goals. Instead of top-down, bottom-up reportability, let’s have mutual responsiveness based on trust and respect. A mutually agreed upon expectation of honest, meaningful feedback allows the leader to be respectfully specific, while allowing the employee to receive the information as unemotionally as reasonably possible. No lying, no faking and no hiding. The focus is on the performance. In fact, the more room there is for candid exchange, the more respectful the conversation will be – flowing both directions. Whereas conventional performance review processes are annual white-knuckle events, our process involves at least four quarterly review meetings. We also encourage check-ins as frequently as necessary – not to grade the employee but to support the employee. Our philosophy holds the leaders accountable to their direct reports, because it’s the leaders’ job to help their people achieve that A objective they had identified at Day 1. Accountability, therefore, works both ways. Our leaders and their direct reports are partners in the year-long journey of working toward their identified goals, on a quarter-by-quarter basis, and then at year’s end. We’ve all heard horror stories of employees patiently waiting for their annual review, upon which even their pay increases hinge. But their leaders keep postponing, postponing, and the postponing again. Senior leadership and individual contributors alike count on leaders to remember that their first responsibility is to help their employees succeed. Companies don’t prosper and employees don’t thrive in “gotcha” cultures where managers are actively engaged in criticizing performance. Or where they are indifferent to their employees’ sincere drive to succeed at best. All stakeholders who care about your company want your business to perform and succeed at A levels. It stands to reason that your company needs your employees to aim for their own A in the process. Who better to help them get that A than their immediate managers? And those managers need help getting their As. That’s where you come in.